There are many players in the art world: gallerists, artists, dealers, patrons of art … however in my opinion the most interesting and fascinating has always been the collector. 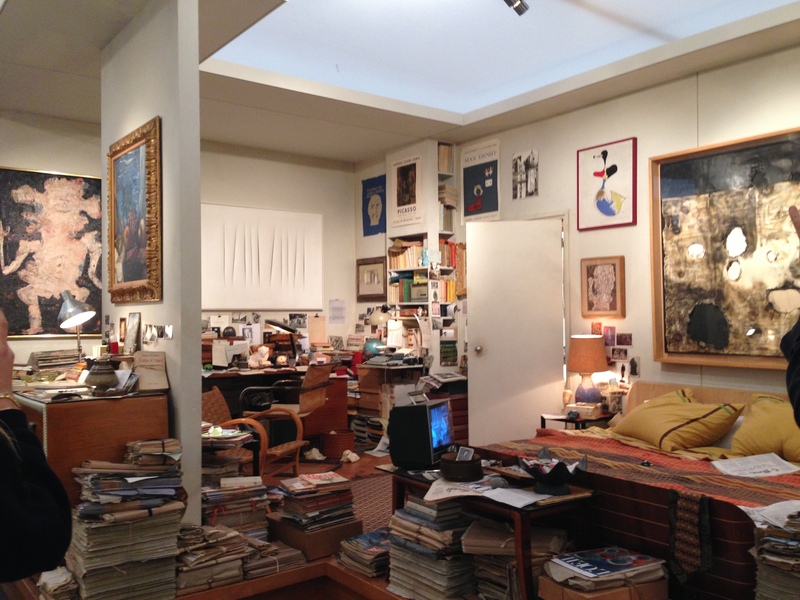 Many people may wonder what a collector’s house looks like because of their tendency to keep their collections private. 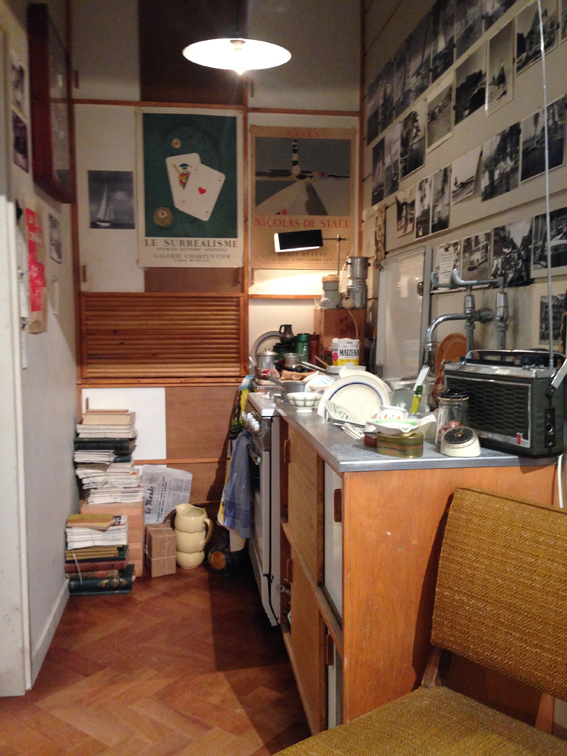 What Helly Nahmad Gallery did at Frieze Masters was to faithfully reproduce an Parisian apartment from 1968. This was an homage to an Italian collector (Corrado) who spent part of his life in Paris and didn’t just collect art but had a sort of addiction to collecting and accumulating objects of culture. 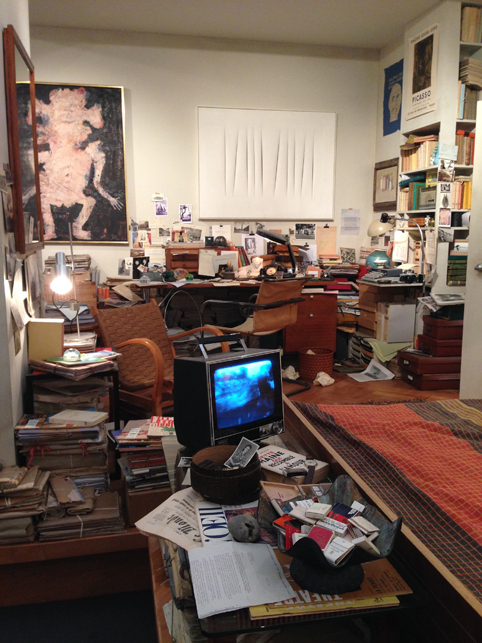 A living room with the TV turned on, a messy kitchen and a bedroom with music as soundtrack, everything literally immersed in newspapers and books. You almost struggle to focus on the works of art hanging on the wall. The atmosphere is immersive and captivating. Being able to gain a unique perspective into the private sphere of one of the most interesting characters of the art world is a dream that comes true. This is the strength of the project which also declares it is an attempt to question the true meaning of collecting art. Personally I believe no unique definition of collecting art exists. 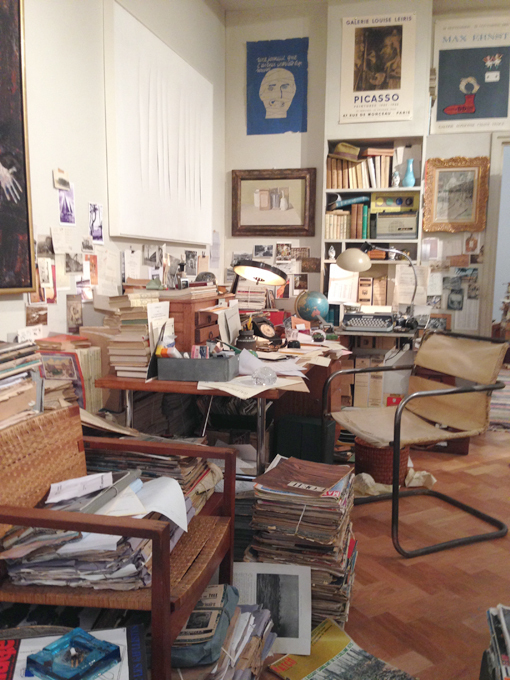 As Corrado demonstrates, collections aren’t just a dream that comes true. It has to be extrapolated from the collector’s life. Therefore, collecting art is more an intimate expression of how one conceives art itself rather than an unequivocal practice.